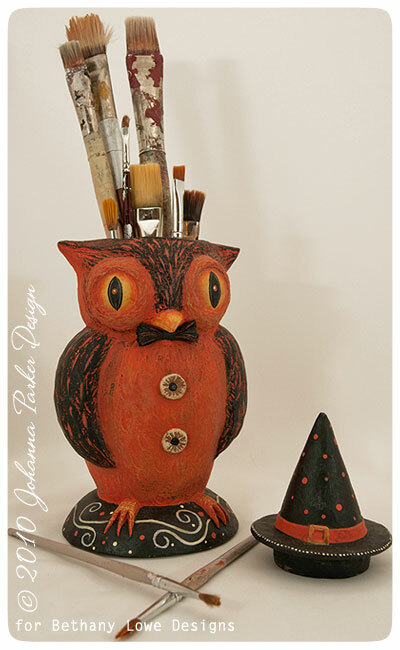 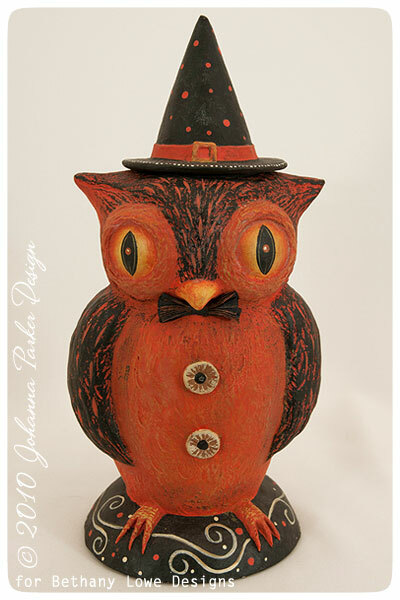 * What a strikingly sweet character to add to your Halloween festivities this fall! 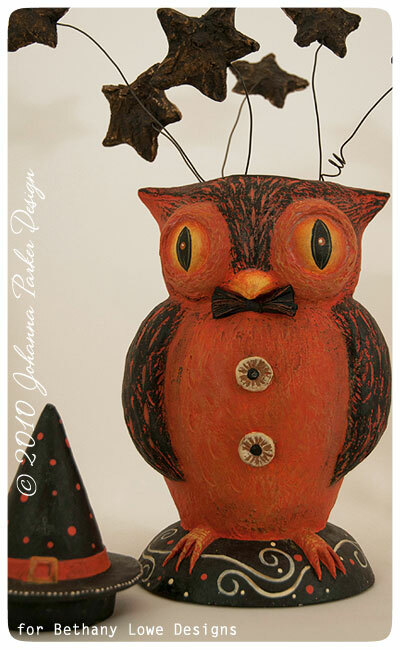 * Or, give Owlfred a place to perch and display a fun arrangement of spooky stars or another eye-catching array of Halloween decorations.... dried roses, gnarled branches or perhaps raven's feathers come to mind..... Or for something on the sweeter side, Halloween lollipops and licorice sticks would be quite a sprawling treat! 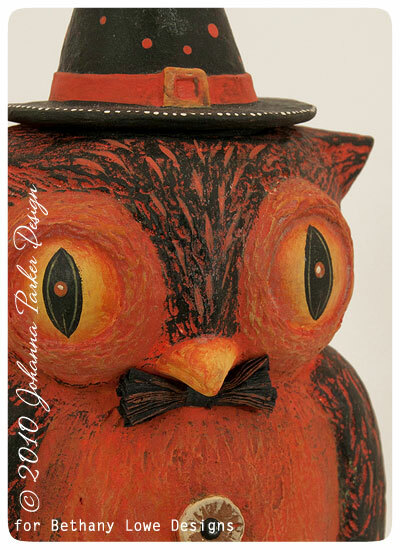 * Sweet Owlfred says, "see you soon!"